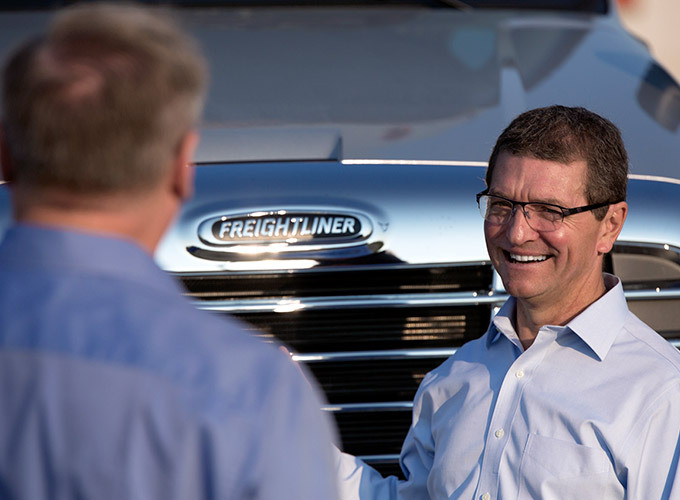 As the commercial captive finance company for Daimler Trucks North America since 1974, Daimler Truck Financial understands the complexities of commercial vehicle financing, offering competitive finance and lease products to Freightliner Trucks customers. Insurance coverage options provided by EPG Insurance, Inc.
* Rates, terms, down payment and eligibility will be determined by Daimler Truck Financial based on the creditworthiness of the customer. Insurance coverage provided by EPG Insurance, Inc. Please refer to policy forms and declarations for a full description of applicable terms, conditions, exclusions and limits. ©2016 Daimler Truck Financial is a business unit of Mercedes-Benz Financial Services USA LLC. All rights reserved.